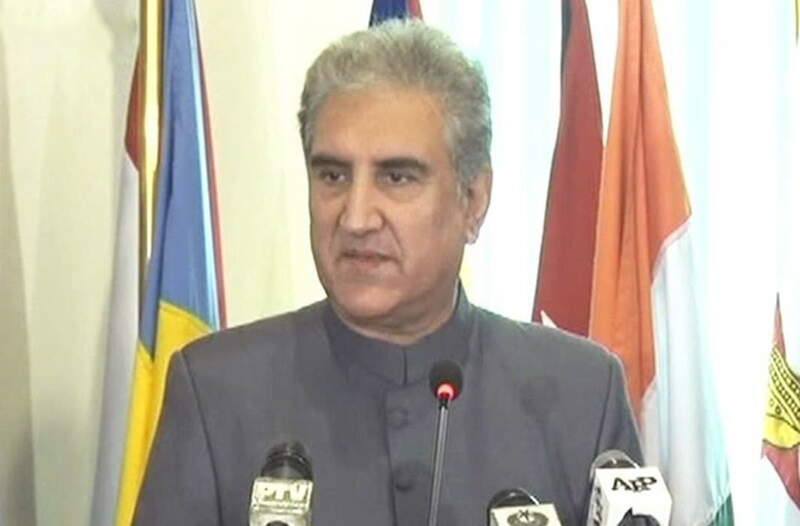 Pakistan’s new foreign minister Shah Mehmood Qureshi has urged India to begin peace talks and shun adventurism for coming together saying issues “will not be solved overnight” and “Kashmir is a reality” an issue both sides acknowledge. His remarks were understood to be critical of earlier government for not having a full-fledged foreign minister for a long time. Nawaz Sharif, kept the portfolio with himself having Srataj Aziz as an advisor on foreign affairs. Comprehensive dialogue between India and Pakistan were suspended after Mumbai terror attack in 2008. Terror attack on Pathankot Air Force base, terrorists’ assault on security personnel in Uri in 2006 and pronouncement of death sentence by Pakistan’s military court to Kulbhushan Jadhav on spying charges hindered in resumption of talks between the two countries. Shah Mehmood Qureshi served as Pakistan’s foreign minister from 31 March 2008 to 9 February 2011 during Pervez Musharraf and Asif Ali Zardari regime. He assumed office of Vice Chairman of Pakistan Tehreek-i-Insaf in December 2011. Earlier, he held different ministerial portfolios in Punjab province during 1988 to1993.